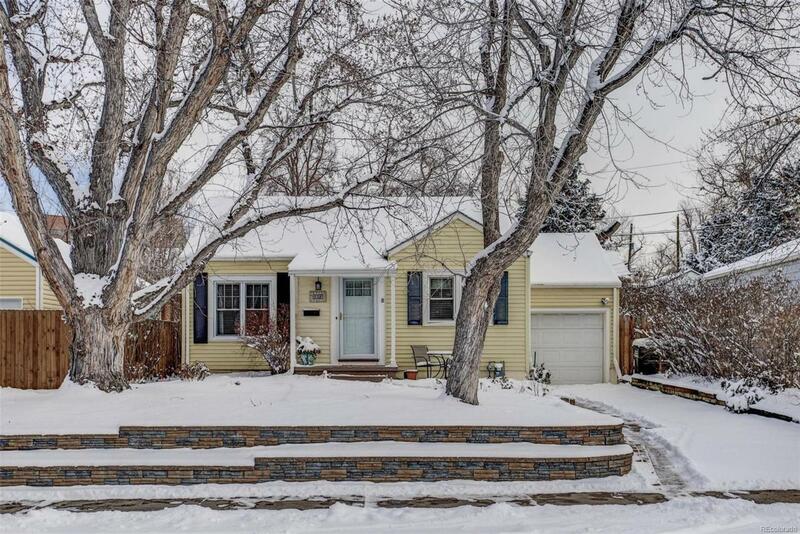 Beautifully mature landscaping, a charming, updated home and a fabulous location one block from Harvard Gulch Park, recreation center and golf course on a quiet tree lined street make this home a rare gem indeed. Immaculately maintained, it offers 1940s character with all of the modern touches from kitchens to baths to utilities. Oak floors and stone tile through the main level add timeless class and lush carpet in the spacious garden level family room and lower bedroom bring warmth and comfort. The kitchen has brushed stainless appliances, granite style counters, designer cabinets to ceiling height, recessed lighting and room for dining. French doors access the lush backyard with no alley intruding on your privacy. The basement bath is modern and convenient to the laundry and a shop area. Located central to employment, entertainment, shopping, dining and transportation, this lovely home wont wait long for your consideration.